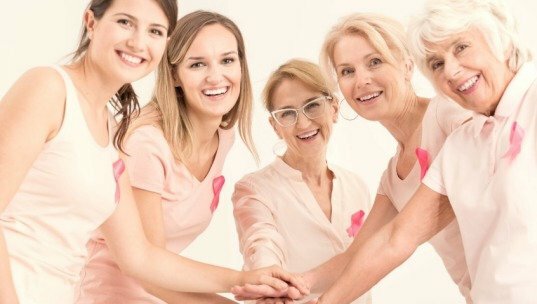 This Israeli medical company has developed a cloud-based mobile application designed to enable women to identify breast cancer at the most critical, early stage of the disease by providing an initial risk assessment of breast cancer. And in addition, the individual receives a probability score reflecting chance of getting ill. The company’s application supports all mobile operating systems, such as iOS, Android, and others, helping to ensure a high penetration rate in populations worldwide, both in emerging and developed countries. Breast cancer is cancer that develops from breast tissue. Breast cancer in situ is not fatal since breast is not an important organ in sustaining life. However, breast cancer cell lose the characteristics of normal cell, so cancer cell exfoliates easily, which may spread everywhere. And this is fatal. 1 of 8 women will be diagnosedbe diagnosed with breast cancer during her life, 25% under the age of 50. and the age is getting lower. Breast cancer is 2nd cause for women death worldwide. In China - It's also a leading cause. Every year the numbers increase in 3.5 % (in US it's 0.4%! ), and 15% are under the age of 35. World widely, 15% of women diagnosed with breast cancer have genetic/family backgrounds. They are aware of their elevated risk, and track changes continuously. Yet, 85% of woman diagnosed with breast cancer state “unidentifiable risk factors” as part of an extensive list of parameters. Currently, solutions for breast cancer are self examination, clinical exam, screening and treatment. And self examination is not accurate while the treatment direct costs are very high. $ 120 K per patient, $34 B world wide, and this is the common base for our potential customers. So this project is developing self risk assessment APP for breast cancer to solve above mentioned problem. Using AI and ML tools, the application can provide an initial risk assessment,risk management, early detection and further examination suggestion of breast cancer based on questions filled anonymously through covering behavioral, environmental and biological aspects. This application is an integral part of a comprehensive end-to-end ecosystem operated by the company to provide medical services, based AI tools, especially in areas where there is a lack of infrastructure and specialists including oncologists. The number of women at high risk, following the risk-assessment questionnaire is enormous. A total of 1.7M new cases of breast cancer are diagnosed globally of which 60% are from low to middle income countries. Ideally, women at increased risk for breast cancer should be accurately identified so that appropriate prevention strategies can be offered. This project aims to reduce both mortality and morbidity through the transformation of ‘disease management’ into ‘health management’. Their solution and services can be implemented by Medical Insurers, Health Funds, Pharmaceutical Companies, National Department of Health, NGOs, Hospitals/Clinics, Physicians, Women Advocacy Groups, etc. What do they charge for?